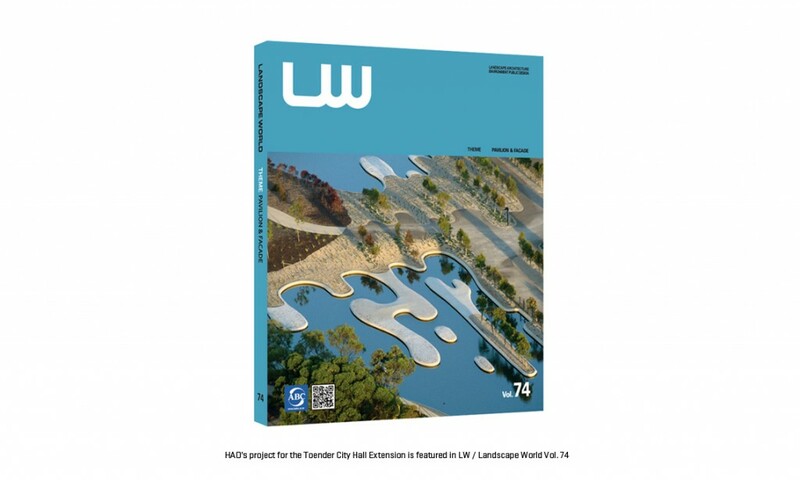 HAO’s project for the Toender CIty Hall extension is featured in the new LW Magazine #74. “The new City hall extension is designed to both maximize interior flexible space while taking full advantage of the beautiful landscape that surrounds it. The new building is designed as a finger plan. This plan layout maximizes views from all the interior office and allows the landscape to extend all the way up to the new building. This mix of building and landscape creates a series exterior seating and gathering spaces that serves both the people that works in the building as well as the city’s inhabitants.